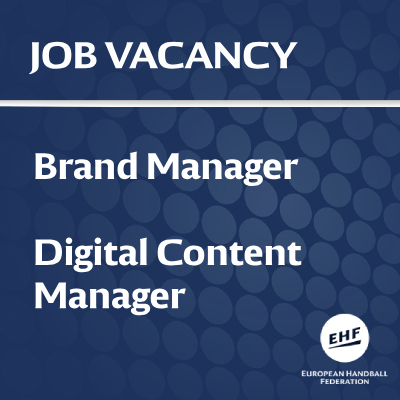 With digital set to play an increasingly important role in the work of the EHF and EHF Marketing GmbH, the federation and its marketing arm have begun the search for three new members of staff to join their team based in Vienna, Austria. Responsible for the further development and implementation of the federation’s content strategy, management of content teams, liaison with external production teams and ensuring consistent storytelling across all owned channels to achieve agreed targets. Click on the job links for further information and how to apply. The positions are both full-time and based at the EHF/M Office in Vienna. For more details about the work of the EHF and EHF Marketing GmbH, visit the EHF Business Report 2018.